Last Post 12/06/2018 09:33 PM by Dale Dale. 10 Replies. Click quote on cks first post. Copy paste the code you see in quote. Change path to your image. Alternatively ck should get on FB. It's that undefined color that's neither green nor blue. Derided and adored twentieth century "artist" Yves Klein (I use the term generously) made a pretty good living by painting various stuff in the same, same, same blue color. Klein blue, darker than Dale's new ride, but like D's bike the color is in one of several narrow bands that is perceived differently by different viewers, as our visual apparatus is a variable as our personalities and skin color. The ensuing debate generated interest and sold his stuff. Which was mostly (or entirely) pretentious crap, but it paid the bills. Nice bike. 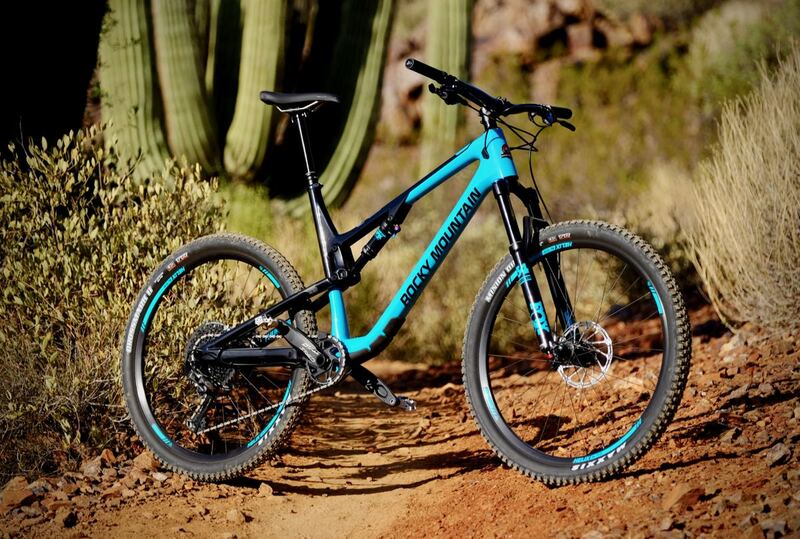 The new mountain bikes make it easier to climb and descend stuff that before was considered extreme. It reminds me of the advances in ski technology, where extreme terrain is now attainable by competent skiers with the right equipment, from a safety as well as a performance aspect. As for being in more control and being faster, do you want me to say “toldja so” now or wait a bit?